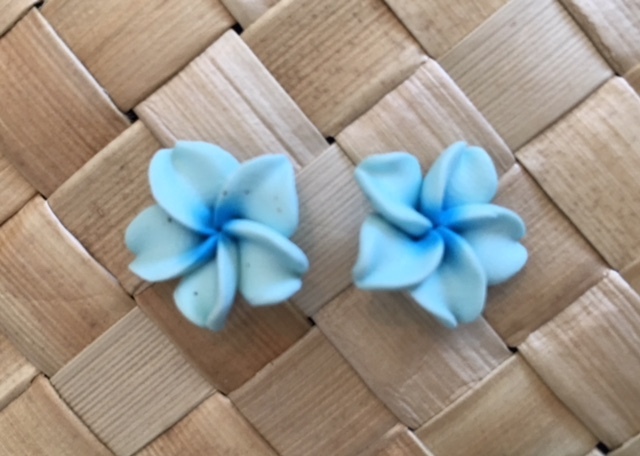 This beautiful pair of earrings features a Hawaiian Plumeria flower design. SIZE: Fimo earrings are approximately 0.5" Inch in size. Hand crafted.